As I am guessing this is one of those “dream jobs” that you all aspire to, I figured I would generously share my expertise with you in the dazzling field of Toucan Food Preparation. I guarantee that after this lesson, you will be ready to wow the next Toco toucan clients you have the pleasure of serving. Feel free to use me as a reference when applying for your next position as an Official Toucan Fruit Chopper. Now sharpen those knives, people – this is going to be a wild ride! Lesson One: Mise en Place – Start by organizing your chopping space. You will need clean bowls for the morning’s fruit portions, Tupperware containers to store the afternoon’s fruit portions, knives, a spoon (for removing seeds), measuring cups (for correct portioning), and a large cutting board. Here you will also select the fruits you have decided to serve your VIP clients. For sumptuous menu ideas, please see more on The Toucan Diet. Lesson Two: Prep your Fruit – All fruit must be washed thoroughly prior to any chopping. For toucans, it is essential to remove all skin/rind, as well as any seeds. Toucans cannot digest seeds, excluding the too-small-to-count variety such as those in kiwi, raspberry, etc. Attention to detail here is key – the last thing you need as an up-and-coming Toucan Chef is a food poisoning scare on your record. Lesson Three: Freshness = Success – You will prepare your client’s food for the day each morning. They are to be served a fresh bowl of fruit twice daily, at 9am and 2pm. When chopping the fresh fruit, you will be preparing both the AM and PM portions, storing the afternoon bowls in individual Tupperware containers until serving time. A Word to the Wise: you may be tempted with the convenience of chopping fruit for multiple days in advance. I strongly caution you against this. We have found that the fruit tends to get too mushy when stored for much past a day due to its high water content. If the fruit you serve is a mashed mess, the toucans will have trouble eating, as they cannot easily extract a piece to eat. Mushy fruit gets wasted and your reviews will plummet. Lesson Four: Perfecting your Chop – We recommend chopping all the fruit into roughly 1/2 inch cubes – anything smaller leads to the aforementioned mush problem and anything larger gets flung everywhere as they attempt to beak it into more manageable chunks. Lesson Five: Presentation – The specific portions you serve will be tailored to your individual toucan client. You will also be required to serve a bowl of Mazuri pellets to provide balanced nutrition, which unfortunately, does not lend to much imagination. Fruit presentation, however, is your time to shine – I encourage you to let your creativity be your wings. Mix all the fruit together, arrange it in color-coordinated palettes, make a blueberry volcano – that shiny, stainless steel bowl is your canvas. Channel your inner Picasso and create your masterpiece! 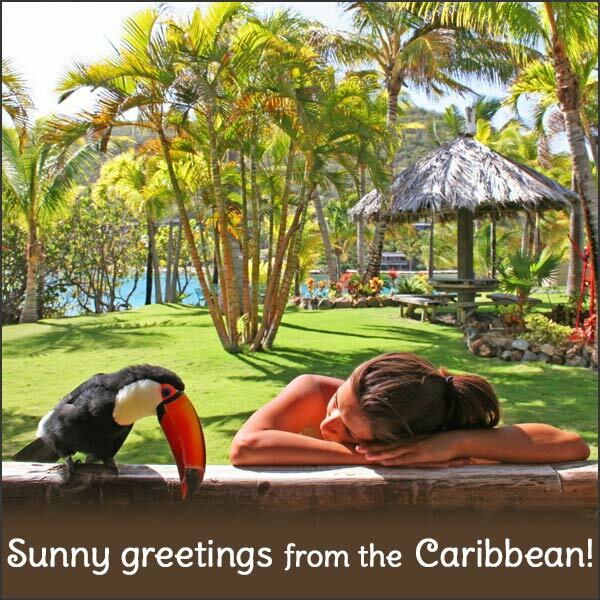 This entry was posted in Diet and tagged Adventures in Toucanland, bird, birds, Caribbean, exotic birds, exotic pets, island, low-iron diet, pet, pet birds, pets, Toco, Toco Toucan, Toucan, toucan diet, toucan fruit, toucanland, toucans, tropical birds by Toucan Lady. Bookmark the permalink.